I wanted to have a pretty solid update with a lot of activity and we have enough for a good update. So the good is everyone is doing well. 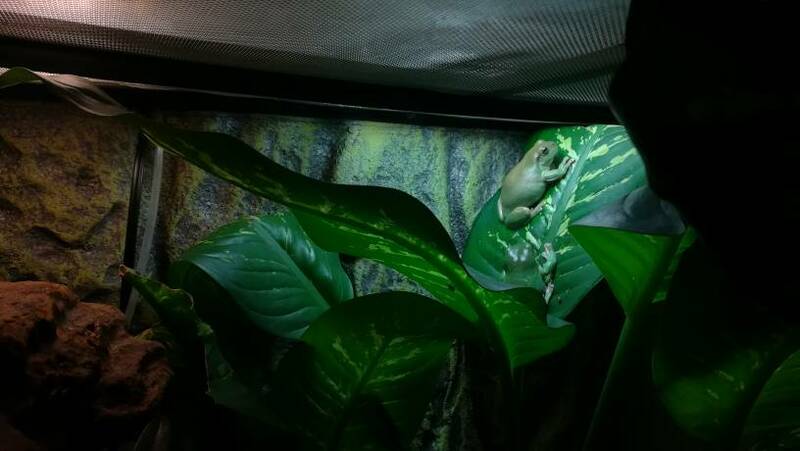 The frogs of both enclosures are calling and eating and are happy. The male skink is eating a ton so he's probably very very happy. 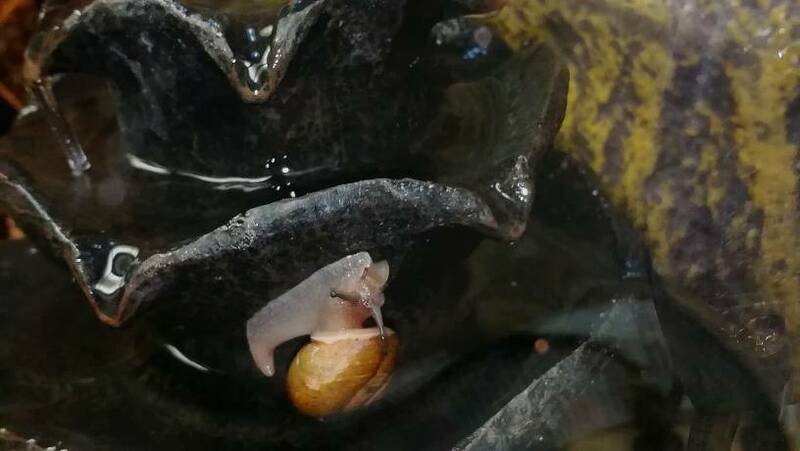 The snail is alive and the Canyon Isopods and Bumblebee Millipedes are as well. Another good thing is there are a lot of people who are following the Five Lined Dumpy Family on Instagram and it's actually the same amount of likes/followers as the Facebook page for the native species. That is a good thing to see that these animals are also appreciated! 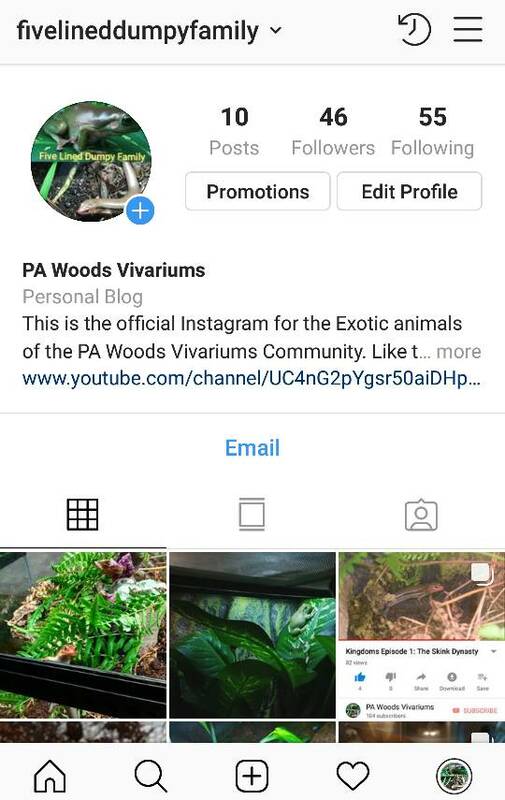 I hope that people will continue to follow them and that the Five Lined Dumpy Family will become some people's favorite part of the PA Woods Community. The bad is going to make some of you very sad. We lost another baby Cope's Gray Tree Frog and a female Mosquito Fish this last weekend. It was difficult but the Petco I get the fruit flies at they had all died so I ordered some flies and they got pushed back because of Easter so the frogs went a day without eating and one baby died. I believe the Mosquito Fish passed of old age. Still sad. Another not sad but odd thing is I haven't seen the female skink in a long time. She may have eggs or something because she hasn't been out and that's not good. 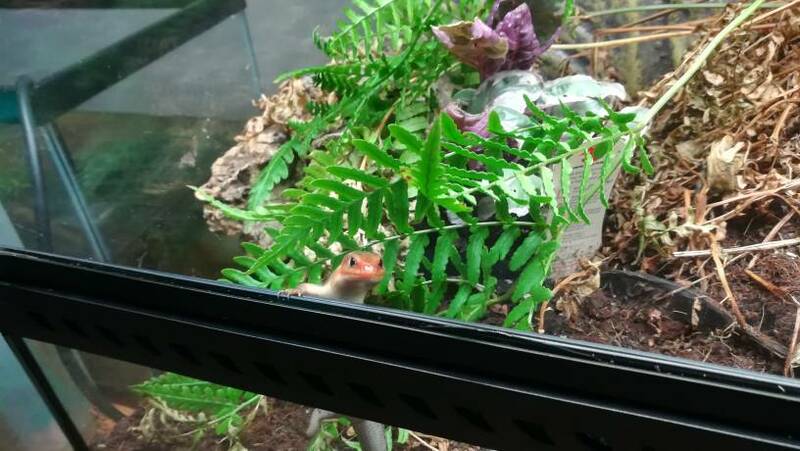 More food and warmer temps and my male skink thrives but my female isn't in sight? It might be that some baby Pharaos and Amsis will hatch soon. No I don't think she's dead just not in sight. The next video I'm going to work on tonight! No school for a while and I'm going to make a spectacular video featuring Max and the Dumpy Family soon! Maybe early next week will be the release of Kingdoms Episode 2! I'm very happy with the shots and I think this will be my favorite episode featuring them on my channel. I've never said that about the Dumpy Family either so it's going to be epic.